The effects of long-term and chronic use of prescription medications will differ based on the medication being abused. There are however, outcomes and risks commonly associated with this sort of addiction. They include death due to overdose as well as damage to the liver and/or kidneys. A person may also develop heart problems, increasing their risk for heart attack and failure. The breakdown of the relationships between the addict and their family and friends is another possibility. Some prescription drug addicts even find it difficult to hold down a job. Below, we will take a more in-depth look at these dangers, some which are quite obvious and others that are hidden. a. Overdose: A possible overdose is one of most serious prescription drug dangers. Not every overdose results in death, but some do. In cases of the latter, there is no turning back, nothing which can be done to right the situation. Many people believe that prescription drugs are somehow safer then illegal drugs and that the ability to overdose doesn’t exist. This could not be further from the truth. Prescription drugs can be every bit as dangerous and their misuse can also result in a lethal overdose. b. Liver and Kidney Problems: Drugs are extremely hard on the kidneys and liver. Heavy drug use can even cause them to fail. Some addicts, who have used for a very long time, may eventually be forced to go on dialysis because their kidney function is low. The liver helps break down drugs so that they can be excreted from the body. Abusing drugs makes the liver work extremely hard, putting undue stress on it. Overtime, liver dysfunction or even failure may occur. c. Heart Attack: Drugs increase blood pressure, which puts strain on the heart. Long-term use can begin to damage the heart, making individuals more prone heart to attack or failure. d. Relational Problems: Though this isn’t a physical danger, relational problems can be just as damaging to an individual. Being estranged from ones family and friends can take a great emotional toll on an addict. Sometimes this causes individuals to increase their drug use. e. Career Problems: Depending on what prescription drug a person is addicted to, it may or may not affect their ability to hold down a job. Those who use drugs that make it difficult to function normally may find that going to work is impossible. 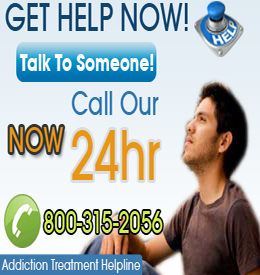 Consequently, they are unable to support their family or drug habit. Often times, individuals will resort to illegal behaviors in order to obtain money. This puts them at risk of going to jail or worse, experiencing bodily harm or even death. f. Not Taking Prescription Drug Abuse Seriously: This is one of the biggest dangers because often times, it is the initial cause of prescription drug abuse. Some people simply do not realize until it is too the late the potential devastation an addiction to prescription drugs can cause. There are individuals who believe that prescription medications are harmless and thus begin abusing them or taking them recreationally. It is only after the drugs have taken control of their life that they realize the substance’s power damaging effects.